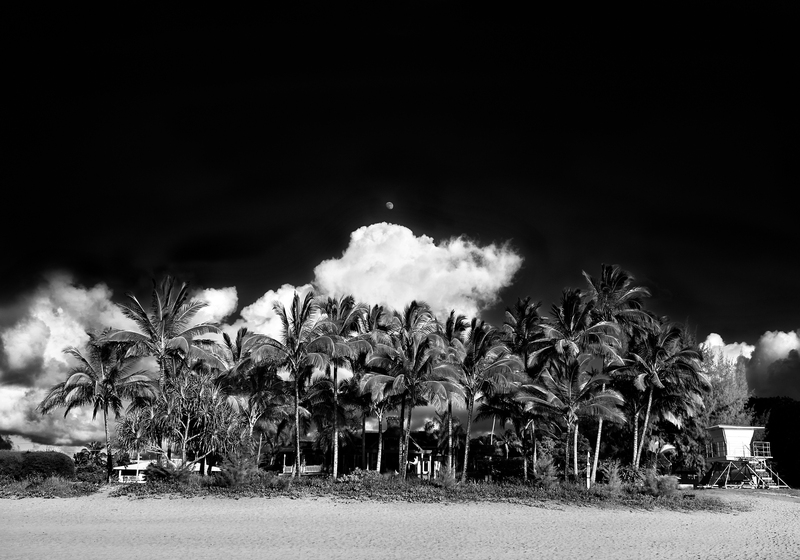 The moon rises over clouds and palm trees near Hanalei on the north shore of Kauai in Hawaii. The moon rises over palm trees. Hanalei, Hawaii.